Learn to write number 6 in preschool math activities for kids. How to write number 6? 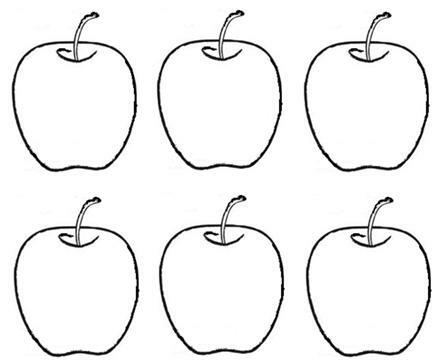 Color the above apples so that kids can identify the number and also understand the basic counting. In this worksheet kids can enjoy both coloring as well as tracing numbers. Preschoolers and homeschoolers can enjoy practicing these colorful printable preschool worksheets on numbers to make the kids handwriting perfect. Parents and teachers can take the printouts of these worksheets on numbers for kids and help the kids to practice these worksheets which are absolutely free. Take as many printouts you want so that kids can practice tracing the numbers and also enjoy coloring as many they want. These printable math worksheets for kids can be access by anyone from anywhere. Trace the numbers carefully so that kids can learn to write number on their own. Math Only Math is based on the premise that children do not make a distinction between play and work and learn best when learning becomes play and play becomes learning. However, suggestions for further improvement, from all quarters would be greatly appreciated. Learn to Write Number 1. Learn to Write Number 2. Learn to Write Number 3. Learn to Write Number 4. Learn to Write Number 5. Learn to Write Number 6. Learn to Write Number 7. Learn to Write Number 8. Learn to Write Number 9. Learn to Write Number 10.